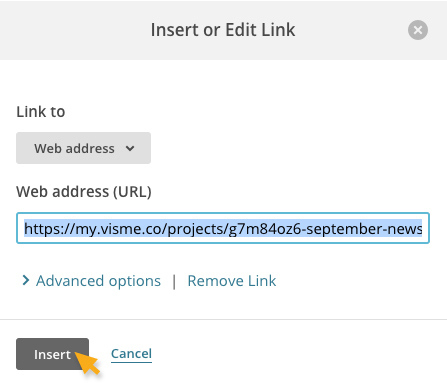 Many people don’t know that you can use embed code from Visme or any other online program and insert it into Emails or Newsletters. 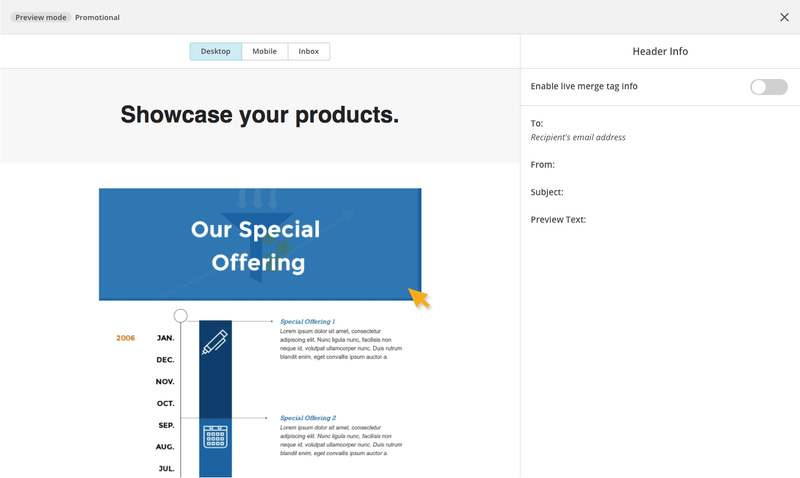 However, you can’t use the same code for your email newsletter because it contains an iframe element that spam filters won’t let you pass through. Email clients such as Outlook, Google, as well as most others do not accept various scripts in emails and those are needed to render HTML5 content. Although you can embed to most websites or blogs, email clients will not accept iframe embed codes which means that they will block and tag your email as spam. Insert link to your published Visme. 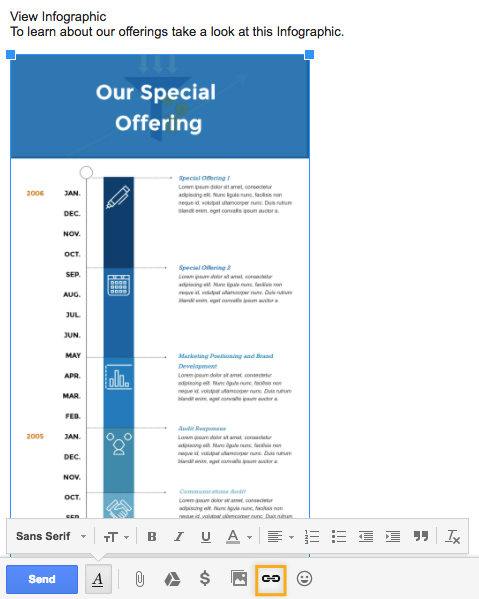 Download as image and insert into body of your newsletter. Let’s take Mailchimp as an example. You first upload an image. You then click Link. A window will pop up asking you to insert the link (screenshot shown below). Once you preview your image, click on it and it will direct you over to the original link. Download as PDF and insert as attachment. You can have a visual (image) inserted into your newsletter and then link it to your online Visme to view in full interactive version.